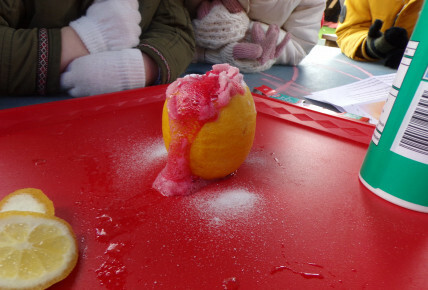 Busy Bees at Norwich Meridian - Volcano!!! 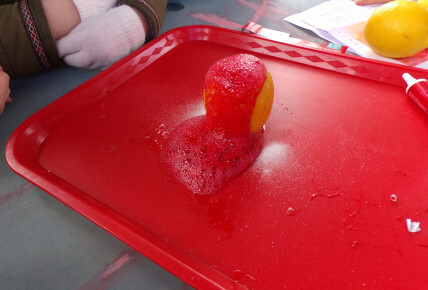 Some of the Preschool children have been talking about volcanoes so today was the day to make one. A very special one. A special one made from a ......... lemon!? Yes, a lemon. 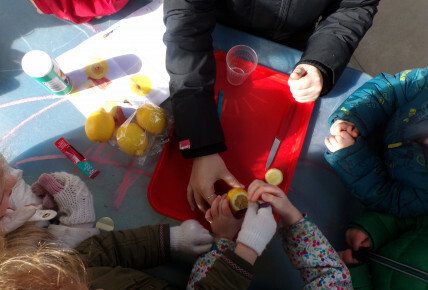 The children smelt the lemon just to check it was actually a lemon. Then we had to squish the middle in, to make it nice and juicy. 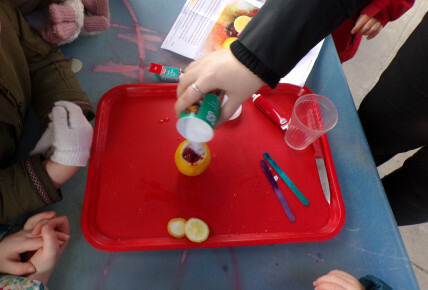 Gemma added the food colouring and then we sprinkled on the bicarbonate of soda. Then the volcano exploded! Sort of, very slowly. It smelled delicious. 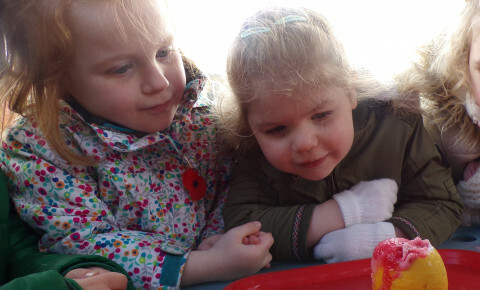 Next week we're going to make an even bigger volcano!